At Pyramid Press we pride ourselves on our commitment to preserving the environment for future generations. Hence our involvement with the Forest Stewardship Council (FSC®), promoting the use of ethically and sustainably sourced papers and boards. Further to this, we can help reduce your carbon footprint by offering a selection carbon-balanced and carbon neutral papers. 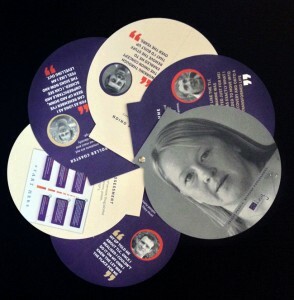 Specifying these materials for your printing is a positive way to demonstrate your commitment sustainability future. Many organisations are specifying carbon friendly papers and boards as their pledge to a greener world. By going that one step further and specifying carbon-balanced, or carbon neutral papers you are helping reduce your and your client’s carbon footprint. 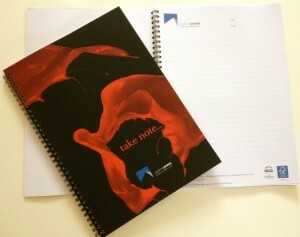 Like our Facebook page and win your own personalised Notebook, printed on FSC®/Carbon Neutral paper. Sometimes it is best just to let clients do all the talking and not say a word, this is one of those moments!